As ye have crossed another week of 2016, let’s look at the five best’s news from the Technology industry. This week some cool leaks and launches happened from the iOS and Android ends. So let’s start the review of the week. One of the biggest news of the week in the Mobile industry was the name of the new Android operating system. It’s going to be known as Android Nougat. As we all know that Google has announced the name of new OS name based on the name of one of the Dessert from around the world. This time for naming the OS, suggestions and requests were made and then finally, Google releases the name after some months of pondering. Well, this time was no different, except that the company claims that they were open to the suggestions. The name is, and no, it’s not Nutella or Nankatai, it’s ‘Nougat’. We didn’t see a lot of applause coming in for that, now. Mi has launched its first Phamplate in India, the MI MAX, The phone comes with a 6.44-inch touchscreen display with a resolution of 1080 pixels by 1920 pixels at a PPI of 342 pixels per inch. The Xiaomi Mi Max is powered by hexa-core Qualcomm Snapdragon 650 processor and it comes with 3GB of RAM. The phone packs 32GB of internal storage that can be expanded up to 128GB via a microSD card. As far as the cameras are concerned, the Xiaomi Mi Max packs a 16-megapixel primary camera on the rear and a 5-megapixel front shooter for selfies. The Xiaomi Mi Max runs Android 6.0.1 and is powered by a 4850mAh non removable battery. It measures 173.10 x 88.30 x 7.50 (height x width x thickness) and weighs 203.00 grams. As per the report of Android Police, Nexus 2016 is being manufactured by HTC and will be running on Android Nougat. As per the report, the official name of the Nexus 2016 will be “Marlin,” which is being manufactured by HTC. As per the leaks, specs of the device will feature, 5.5 inches at a resolution of 2560 x 1440. The smartphone will reportedly come with a quad-core Qualcomm processor, a USB-C port, 4 GB of RAM, a 3,450 mAh battery, and Bluetooth. Other than this fingerprint scanner will also have a place in the device. In the recent twit, Evan Blass revealed the leaked image of Samsung Galaxy Note 7. According to Blass, the phone will have a 5.7" QHD Super AMOLED display, 64GB of storage (+microSD), 12MP rear camera, 5MP front, be IP68 certified. on 29th July 2016, iPhone has celebrated the ninth launch anniversary. Nine years back the device was launched with the Price tag of $499 for 4 gigabytes of storage or $599 for 8 gigabytes, the first-generation iPhone launched in U.S. on June 29, 2007. In a unique move by Apple, the handset wasn't made available until 6 p.m. that day, forcing consumers to wait until the evening for the heavily hyped device. This way of creating the hype is also being used by some of the Android device manufacturers of China. So these are the five top tech news which has made headlines in the last week from the mobile and tech industry. 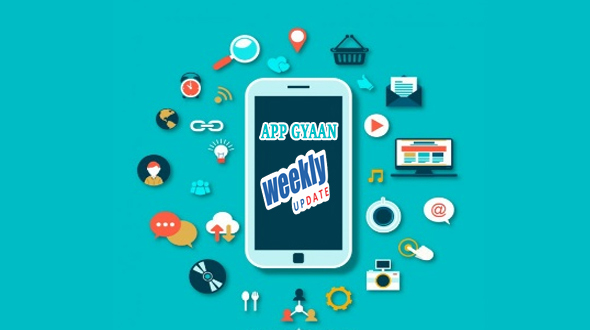 We will be back with five biggest news of upcoming week next Sunday till the time enjoy with the other stories of App Gyaan.